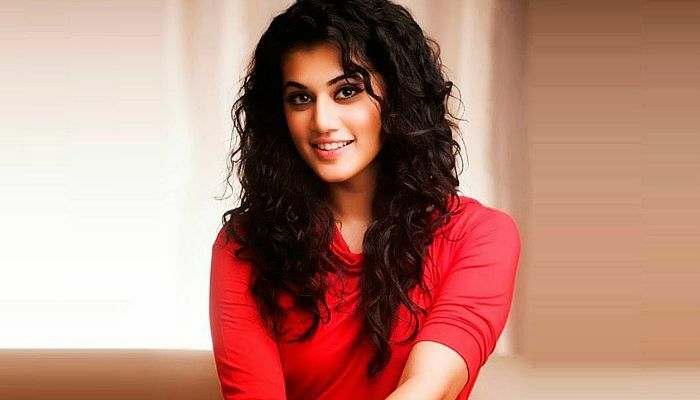 Taapsee Pannu is an Indian actress best known for her roles in critically acclaimed films such as Aadukalam, Vastadu Naa Raju, Baby, and Mr. Perfect. She appears mainly in Tamil, Telugu, Malayalam and Hindi language films. Her performance in Arrambam earned her the Most Enthusiastic Performer-Female Award at the 2014 Edison Awards. Taapsee Pannu was born on the 1st of August 1987, in New Delhi, India. She is currently 31 years old. Pannu attended Mata Jai Kaur Public School in Ashok Vihar, Delhi. After graduation, she joined Guru Tegh Bahadur Institute of Technology in New Delhi from where she earned bachelors degree in Computer Science Engineering. Taapsee had dated actor Mahat Raghavendra in the past. She is reportedly dating Denmark Badminton player Mathias Boe since 2013. Taapsee made her theatrical debut with the Telugu film, Jhummandi Naadam, playing her role as Sraviya in 2010. The following year, she portrayed the character of Irene Claude, an Ango-Indian, opposite Dhanush in Aadukalam, which was her Tamil debut, Her performance in the film earned her positive reviews and eventually she got many film offers therein. The film itself received six National Film Awards at the 58th National Film Awards ceremony. Her Hindi debut came in 2012 with Chashme Baddoor, in which she played opposite Siddharthm. Her role in the film earned her nomination for Filmfare Award Best Female Debut. Taapsee appeared as a contestant on Channel V’s talent show Get Gorgeous. During her brief stint as a model, she endorsed brands such as Reliance Trends, Red FM 93.5, UniStyle Image, Coca-Cola, Motorola, Pantaloon, PVR Cinemas, Standard Chartered Bank, Dabur, Airtel, Tata Docomo, World Gold Council, Havells and Vardhman. Taapsee Pannu has an estimated net worth to be more than $5 million US dollars. She charges Rs 70 lakh to 1 crore per film. She is the co-founder of The Wedding Factory, a wedding management startup. This is perhaps the first and only wedding planning and arranging company headed by a celebrity. She recently bought a luxury apartment in the posh area of Mumbai and also owns apartments in Chennai and Hyderabad. She owns a BMW 5 series, Mercedes SUV and a Renault Captur car. Born and brought up in Delhi, she was raised Jat Sikhni. During her college days, she began modeling for pocket money, and she later took it full-time career. After graduation, she briefly worked as a software engineer and left it to pursue her career in creative industry. As a model, Taapsee Pannu won a bunch of titles such as “Pantaloons Femina Miss Fresh Face” and “Safi Femina Miss Beautiful Skin” at the 2008 Femina Miss India contest. Her celebrity crush is Ranbir Kapoor. She was featured on the covers of popular magazines, including Just For Women and MaaStars. Taapsee Pannu decided to foray into cinema after realizing that she could never gain proper recognition and attention through modelling. Pannu received Most Enthusiastic Performer–Female Award at the 2014 Edison Awards for her performance in the action thriller Arrambam co-starring Ajith Kumar and Arya. In 2018, she’d star opposite Ali Fazal in Sujoy Ghosh’s remake of the Spanish film Contratiempo. In 2018, she won the Zee Cine Awards under the category Extraordinary Impact Award – Female for her work in Naam Shabana.